This is an exciting time in the world of cancer research and that is good news for mesothelioma patients. Scientists are studying potential new mesothelioma treatments that offer hope of better outcomes and longer survival times. 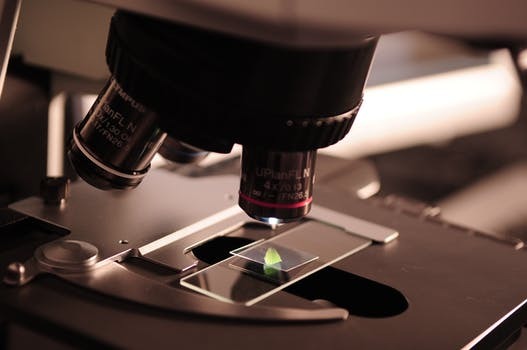 While many of the mesothelioma treatments being studied are still experimental, patients can access them by enrolling in clinical trials. Because there is currently no cure, drug makers may also make some drugs available to mesothelioma patients before FDA approval. One exciting new development comes from a study of the drug Sutent in Japan. Researchers used malignant mesothelioma cells they had cloned in the lab to see if new mesothelioma treatments can stimulate your healthy cells to kill off cancer cells. The Sutent study is called “Connexin 43 enhances Bax activation via JNK activation in sunitinib-induced apoptosis in mesothelioma cells.” It was published in the Journal of Pharmacological Sciences in June 2017. This research discovered what it calls “a novel Cx43-JNK-Bax axis regulating the process of apoptosis.” In plain English, this is an interaction of several proteins to tell cancer cells to die. They found that the drug sunitinib (sold under the brand name Sutent) helped make this process happen. This may lead to an important advance in mesothelioma treatments because uncontrolled cell growth and the failure to die off at the appropriate time are two key characteristics of cancer cells and part of what makes them so deadly. How Do Mesothelioma Tumors Grow? To understand how this promising treatment might work, it’s helpful to have a little background on the way mesothelioma cancers grow and reproduce. You don’t have to become a scientist or an expert to understand mesothelioma treatments, but knowing a few basics can help you become a better advocate for your own care. When your body senses that a cell is damaged or malfunctioning in some way, it will send a signal for the cell to shut down. This is called programmed cell death. Programmed cell death is also called apoptosis (this is the word the Japanese researchers used to describe the process in their study). Tumor cells start out like any other cells in your body. Then they ignore the signal that tells them when to die. Cells pile up. A tumor is formed. Benign tumors are an extra growth of cells, but they grow slowly and don’t invade the surrounding tissue or metastasize, as cancerous tumors do. Cancer cells often divide and grow quickly. They invade surrounding organs and make you sick. Over time, cancerous cells metastasize or spread to other parts of your body, forming additional tumors. There is much we don’t know about the way our bodies operate at a cellular level. As researchers peer ever deeper into this microscopic world, they unlock new and promising mesothelioma treatments. A growing number of mesothelioma treatments target tumors one cell at a time. Many immunotherapy drugs stimulate your immune system to do its job and attack and kill abnormal, cancerous cells. Some mesothelioma cells hijack a normal process that your body uses when it needs to down-regulate your immune system and use that to turn off your immune defenses. Mesothelioma treatments such as immunotherapy drug Keytruda block mesothelioma cells from using this mechanism. This family of immunotherapy drugs is called checkpoint blockers. Sutent works with cellular apoptosis or cell death, rather than your immune response, to check the wild growth of mesothelioma tumors. Programmed cell death – the normal process by which cells in your body die off at appropriate times – is an important part of your body’s healthy functioning. This is different from necrosis, when cells die not because your body wants them to but because they are injured. Much of the current research on mesothelioma treatments have focused on programmed cell death. The theory is that, if cancer cells don’t respond to the normal mechanisms that cause cells to die off at the appropriate times, reactivating those mechanisms can cause cancer cells to die and tumors to shrink. Sutent (sunitinib) is a receptor tyrosine kinase (RTK) inhibitor drug. It stimulates proteins in mesothelioma cells that encourage apoptosis (programmed or normal cell death). To do this, Sutent uses a relationship between three proteins: Cx43, JNK, and Bax. Cx stands for connexin. Connexins are also called gap junction proteins. You might think of connexins as the docking mechanism between two cells. One of these gap junction proteins will connect with a specific protein on another cell and allow substances to pass from cell to cell. The Cx number indicates what connection that particular connexin creates. Cx43, also known as GJA1, seems to play a role in the activations of the Bax protein. Bax is a protein that helps regulate apoptosis or cell death. It is also called bcl-2-like protein 4. Some BCL2 proteins are anti-apoptotic – they stop programmed cell death. Bax is pro-apoptotic, so it can (at least in theory) play an important role in telling runaway cancer cells it’s time to shut down. JNK is short for c-Jun N-terminal kinases. JNKs have several functions in the body, including helping the immune system create different types of T cells. They are also part of the pathway that sends the programmed cell death command. Cx43 encourages the Bax protein to cause programmed cell death. In cells linked by Cx43, Sutent stimulated Bax activity. In addition, the drug made JNK more active in cells with active Cx43. JNK and Bax were found in the same part of these cells and seemed to work together to cause mesothelioma cells to die naturally. This is the “Cx43-JNK-Bax axis” identified in this Japanese study of malignant mesothelioma cells. In plain language, Sutent appears to stimulate one of the body’s natural cell death mechanisms, leading cancer cells to die off rather than growing out of control. Drugs that cause mesothelioma cells to stop reproducing wildly and instead obey the rules of programmed cell death point the way to a possible promising future of mesothelioma treatments. Already, some mesothelioma patients have found that immunotherapy mesothelioma treatments keep their cancer from spreading. Sutent offers a glimpse of another mechanism around which future mesothelioma treatments may be designed. Scientific research is never a straight path and the body is still full of mysteries that scientists don’t understand. Whatever answers are revealed in the end, the secrets in our cells are the most exciting avenue of mesothelioma research today. Studies like this Japanese study of Sutent offer hope for better mesothelioma treatments tomorrow.